I like torpedoes because you can vary the draw by the amount you snip off on the end..a heavier smoke than a cigarillo..
a decent cigar, i like the champagnes better. I have smoked a lot of bundles over the years, and I always come back to Oba Oba. It's a very consistent product that is rolled well, has a good flavor, and can't be beat on the price. Is this a small cigar? are you sure? and the great taste too! 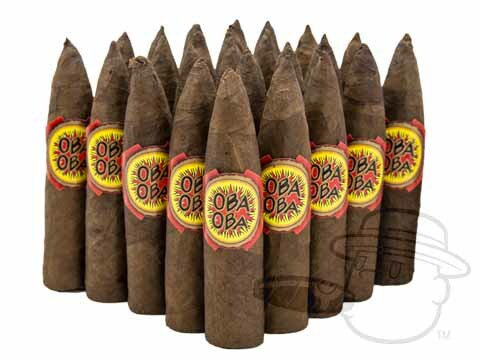 Oba Oba Torpedo 4 Natural - By Perdomo is rated 3.5 out of 5 based on 11 customer ratings.